The original SOX-E range was introduced by Philips in 1983, featuring improved thermal insulation. 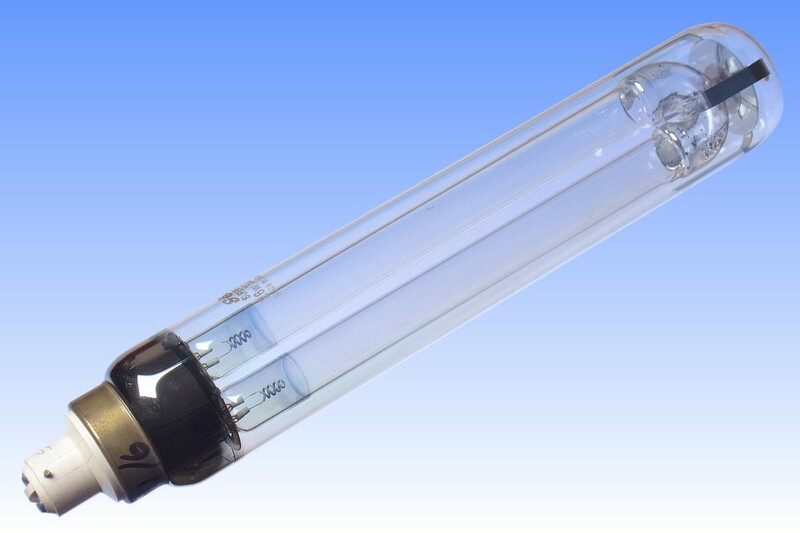 LPS efficacy peaks when the discharge tube is at about 260°C, and to avoid the superior insulation causing this to be exceeded, the SOX-E lamps should be operated at lower power. The optimum solution is achieved on dedicated SOX-E ballasts which deliver a little over half the current of regular SOX ballasts. Alternatively, part of the efficacy gain can be achieved on normal SOX ballasts. 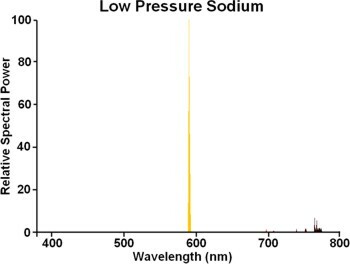 This is possible due to the fact that the voltage of SOX-E lamps is lower than their dimensionally-equivalent SOX versions. 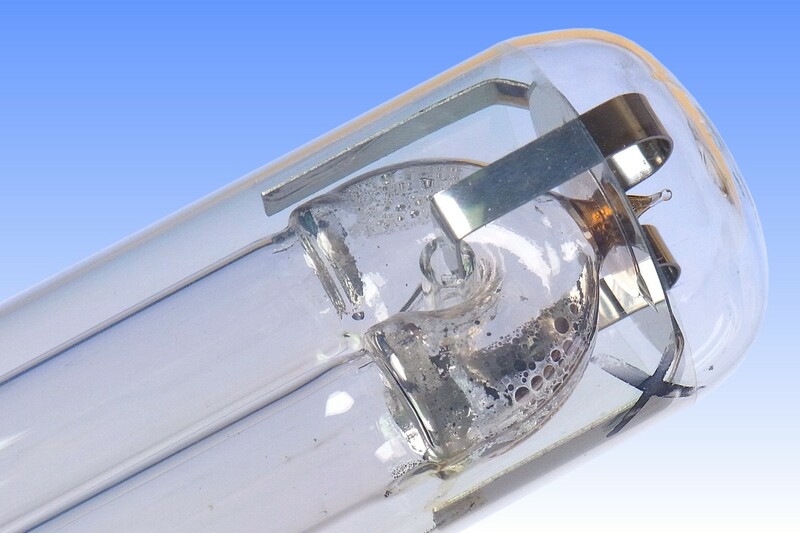 The reason is improved thermal insulation around the U-bend, whose temperature is normally a little lower owing to the fact that the IR coating of the outer bulb cannot be applied around the domed end. Normally the bend is somewhat devoid of sodium vapour, and more of the neon gas filling is therefore ionised, which leads to a high lamp voltage. Improving the insulation at the bend brings more sodium into the vapour at that point, reducing the discharge in neon, and lowering lamp voltage. 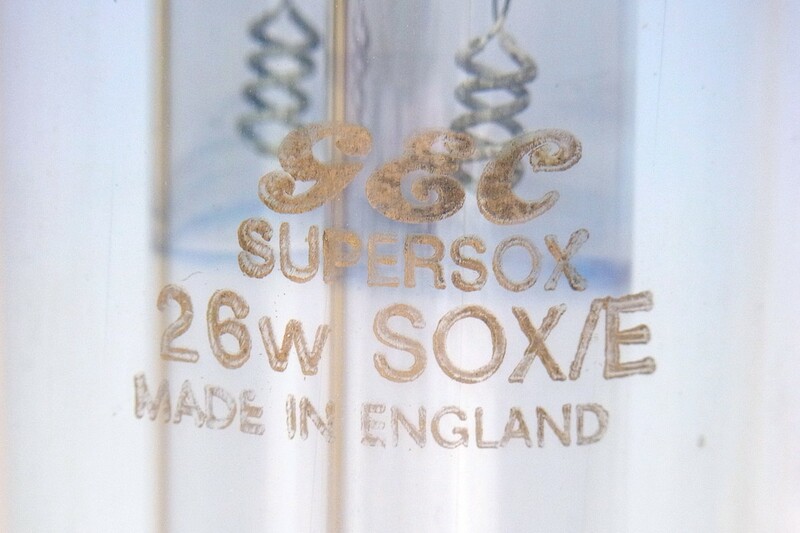 Whereas the Philips SOX-E lamps were primarily marketed in European countries for use on the dedicated new low-current ballasts, in Britain they were almost exclusively employed as direct retrofits for SOX where the full efficacy gain could not be realised. 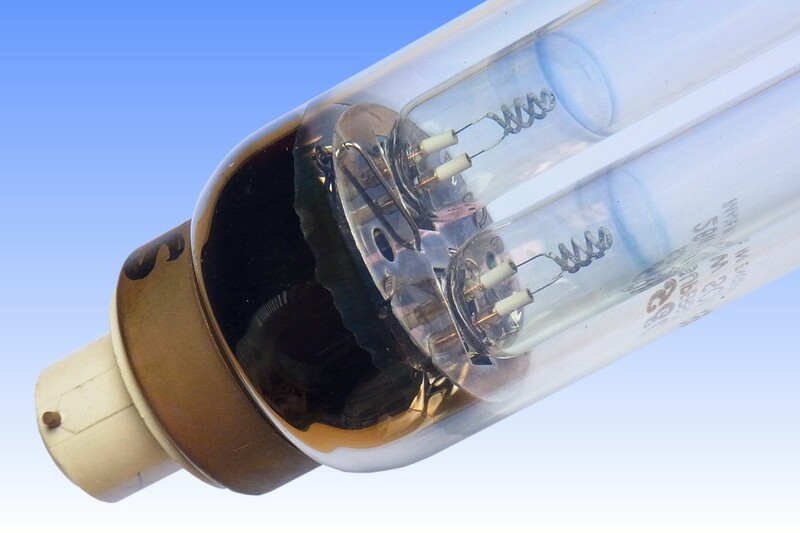 That placed lower demands on the quality of the insulation, and the British-made GE/Thorn and Osram/GEC lamps employ a simple nickel-plated steel disc as the heat reflector around the bend, instead of the Philips close-fitting end cap and modified outer bulb shape. They deliver effectively the same performance on SOX ballasts, but are a little less efficient on SOX-E gear.